Has the American dream come to an end? What does the recent McDonald's minimum wage guide say about the nature of labor in the US? And, is there a way to improve income disparity? CrossTalking with Austin Petersen and Eric Draitser. After having forced through further austerity measures Greece is set to receive its next bailout instalment. The bailout comes at the expense of thousands of public sector jobs. A rescue loan of 4 billion euros will come from the eurozone and European central banks. The IMF is also expected stump up a further 1.8 billion. To get the loans, Athens will have to fire 4000 civil servants by the end of the year. Greece has been relying on rescue funds for over three years now, but as financial expert Patrick Young explains, it's done little to cure the country's financial woes. Media Not Buying Obama's Economic Push? BBC Documentary: Who Gets the Best Jobs? Richard Bilton examines the social barriers that have contributed to the UK being more unequal than at any other time in history. BBC: France's official human rights watchdog is investigating the US clothes retailer Abercrombie and Fitch (A&F) over possible discrimination based on job applicants' physical appearance. The company says it employs models to attract customers, but the watchdog says it suspects that the employees are in fact salespeople. Bare-chested men at its shops pose for photos beside young female customers. Greece entered the world financial crisis in 2008 with less than 10 percent of the country's labor force out of work. Today, more than a quarter of the population is left without jobs and with no apparent chance of getting one. The latest figures from the finance ministry show another 23 percent doesn't earn enough to stay above the poverty line. And, as RT's Egor Piskunov reports, Greeks are now looking elsewhere for their future. Goldman Sachs has come under intense scrutiny following a government investigation into its practices. The firm is a powerhouse whose 34,000 employees are known as the best and the brightest. It's unique corporate culture and its long history of success have always been the envy of its competitors ... but now Goldman Sachs is fighting to maintain its reputation. The firm has been accused by some critics of misleading investors, and taken to task for accepting a government bailout when, less than a year later, it was able to reap massive profits. 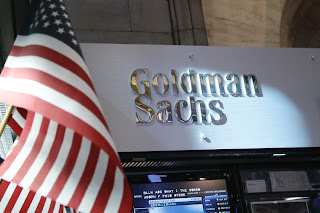 Some ask if its connections to the many Goldman alumni who went on to influential government positions gave it an unfair advantage in surviving the global financial crisis. In this CNBC original documentary, correspondent David Faber reveals how Goldman Sachs benefited from some of its most controversial deals before, during and after the economic collapse. He describes how Goldman, throughout its history, has fought back from adversity with innovation and fierce competitiveness. Faber also examines the future of Goldman Sachs, asking whether the bank can maintain its dominant position atop the world of finance. Eines der ganz grossen Probleme der Euro-Krise ist die enorme Jugendarbeitslosigkeit. In Spanien sind 56 Prozent der Jugendlichen ohne Arbeit. Jetzt soll die duale Berufsbildung diese Quote senken. YAHOO! 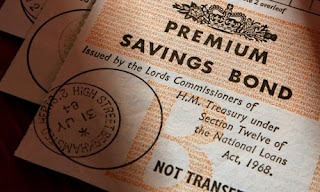 FINANCE: The prize fund available to Premium Bond holders is being slashed and the odds of winning will drop to from 24,000 to one to 26,000 to one next month. 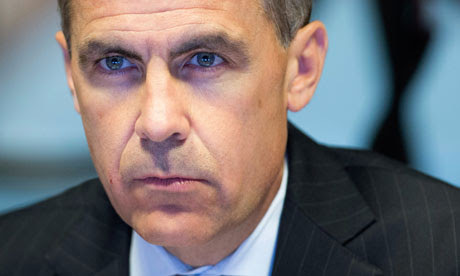 What's more, the annual interest rate on the entire savings pot will drop from 1.5% to 1.3%. The changes will come into effect from 1st August, National Savings & Investments (NS&I), the Government organisation behind the bonds, confirmed today. 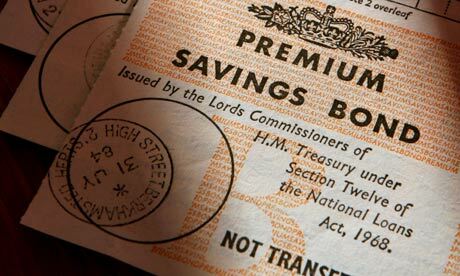 As the overall prize fund is being reduced, there will be a smaller chance of winning on the Premium Bonds. In July, the total value of the tax-free prizes was £57,099,325. This is predicted to fall to £49,321,500 in August. And the total number of prizes will drop to 1,751,061, from 1,903,314. The Greek government is pressing ahead with austerity - having approved more public-sector job cuts, struggling to please its international lenders. That's despite a massive general strike - and thousands-strong rallies, bringing public services to a standstill earlier this week. To secure its next bailout tranche, Athens will have to redeploy - or axe - 25 thousand civil servants. RT's Egor Piskunov has been on the streets of Athens, talking to the protesters. THE GLOBE AND MAIL: The last person to leave Detroit won’t have to turn out the lights. The city has been in darkness for decades. Forty per cent of the street lights are out because of broken bulbs, neglect and copper thieves. Last year, the mayor unveiled a plan to save money by cutting out lighting in less-populated areas. “We’re not going to light distressed areas like we light other areas,” said the city’s chief operating officer. I’m old enough to remember when Detroit was a great American city. Today, it can’t deliver basic services. Firefighters can’t use the ladders on their trucks because they haven’t been inspected in years. Police take nearly an hour to respond to the most serious emergency calls. People know not to call 911 if they have a heart attack – they’ll probably be dead before the ambulance arrives. People who could get out have already done so. The population has plunged from 1.8 million to 700,000 since the 1950s, and large parts of the city have reverted to the wild. Some houses are worth less than the cost of demolition, so some people who decide to leave simply walk away. “The city is past being a city now; it’s gone,” resident Kendrick Benguche told The New York Times. Detroit was once the symbol of America's industrial power; the birthplace of Ford, the assembly line and the home of GM. But now it feels more like a ghost town littered with abandoned buildings. ¶ In 1913 Detroit was booming but when the Great Depression hit, this abruptly ended. Between 2006 and 2008 four of GM's plants in Michigan closed, and more than 15,000 are homeless in the city. "There's no work in Michigan... all you see is vacant houses" explains one homeless resident. As industries move to areas with cheaper labour, former assembly line workers and buildings are left useless. This 80-minute documentary focuses on the growing "wealth gap" in America, as seen through the eyes of filmmaker Jamie Johnson, a 27-year-old heir to the Johnson & Johnson pharmaceutical fortune. Johnson, who cut his film teeth at NYU and made the Emmy®-nominated 2003 HBO documentary Born Rich, here sets his sights on exploring the political, moral and emotional rationale that enables a tiny percentage of Americans - the one percent - to control nearly half the wealth of the entire United States. The film Includes interviews with Nicole Buffett, Bill Gates Sr., Adnan Khashoggi, Milton Friedman, Robert Reich, Ralph Nader and other luminaries. SPIEGEL ONLINE: Für die Top-Player der US-Finanzindustrie läuft es derzeit rund: Goldman Sachs hat seinen Gewinn verdoppelt, auch die anderen Großbanken machen Milliardengewinne. Die Geldhäuser setzen voll auf das riskante Investmentbanking. LE FIGARO: Fitch retire le dernier «triple A» accordé à l'Hexagone par une grande agence de notation internationale. La France est sanctionnée par son niveau élevée de dette publique. That Britain's Conservative Party is deeply sceptical about the European Union isn't news. What is novel is the readiness of some of the party's grandest grandees to call for a British exit. Stephen Sackur talks to Lord Lawson, Margaret Thatcher's former Chancellor, who recently labelled the EU a bureaucratic monstrosity, past its sell-by-date. His intervention embarrassed prime minister David Cameron and deepened the impression of a Tory party dangerously divided. So, why did he do it? 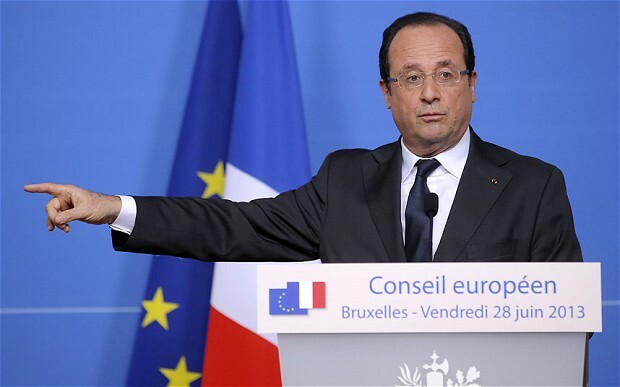 THE DAILY TELEGRAPH: France’s business leaders have launched a blistering attack on President François Hollande, demanding drastic measures to halt the country’s industrial decline and shrink the ballooning public sector. The chief executives of top firms including Peugeot Citroën, EADS, Sanofi and Publicis signed a joint letter to Les Echos, complaining that France is being suffocated by high taxes and an over-regulated system that is no longer fit for purpose. “Unemployment has reached record levels. The trade deficit is getting worse. Profit margins are the weakest in the eurozone. This calls for urgent measures. It is a bitter reality, more so because other countries touched deeply by the crisis such as the US or Ireland are recovering," the letter read. The pound has tumbled below $1.50 against the dollar as traders continue to scale back bets of higher interest rates in the UK, following the Bank of England's surprise statement on Thursday. Sterling slid to a four-month low of $1.4991, the weakest since mid-March, extending the sharp losses that followed the BoE's warning that markets had been wrong to price in rate hikes for the near future. The pound could fall further still, analysts warned, denting Britons' spending power at the start of the summer holiday season. Sterling also weakened against the euro, though not as markedly. THE DAILY TELEGRAPH: London will host the ninth World Islamic Economic Forum in October, the first time that the event will be held outside of a Muslim country, as the British capital looks to become a global hub for Sharia finance. More than 1,500 delegates, including government and business leaders, as well as scholars, will descend on London for the three-day event, which sets out to boost trade partnerships between Islamic and European markets. "Hosting this prestigious conference... presents huge opportunities to promote London as a world beating business hub, highlighting our status as a major centre of Islamic finance and as a compelling destination for foreign investors," Mayor of London Boris Johnson said in comments posted on the event's website.